It is currently the offseason in the NBA. Deals are getting done. Players are getting traded. Recent draft picks are signing their contracts. One NBA veteran is looking for a contract of his own. Paul George recently opted out of his contract next year with the Oklahoma Thunder. He is said to be seriously considering resigning with the Thunder or the Lakers. Basketball player Paul George’s net worth currently sits at $25 million. Paul George has played eight seasons in the NBA. His most recent season was spent with the Oklahoma City Thunder. This was after spending the first seven years of his professional career in Indiana. 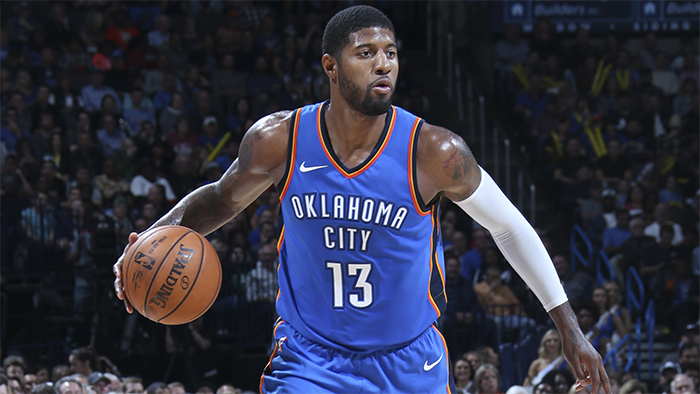 A 2010 first round draft pick out of Fresno State, Paul George has been a consistent performer year in and year out in the basketball world. Over the past three seasons, George has performed at the highest level of his career. Paul George has averaged over 21 points per game in each of his past three seasons. It is because of his top play that he is expected to sign a large contract in the very near future. George was scheduled to make over $20 million for next season; however, by declining the option he will be entitled to much more. Experts are predicting one of two things to happen with Paul George next year. Either he will resign with the Thunder, or he will sign with the Lakers. If he does decide to resign with the Thunder, he will be eligible for a contract potentially worth over $175 million. If he elects to go with the Lakers, his contract won’t be valued as high. However, signing with the Lakers might give him a better chance to win a championship. Regardless of his decision, expect basketball player Paul George’s net worth to increase dramatically over the next few years. Through his eight NBA seasons thus far, George has earned over $80 million in earnings. A decision to stay with the Thunder over the next five years will push that amount in excess of a quarter of a billion dollars! Although Paul George has been in the sports headlines recently, many are focused on what LeBron James is going to do. This could also potentially impact Paul George’s decision. Vegas odds believe that LeBron will sign with the Lakers, a move that might eliminate George from signing. This is because the Lakers are in talks to potentially acquire Kawhi Leonard from the Spurs. The Lakers won’t be able to afford all three, Lebron, Kawhi and Paul. The coming days and weeks will be very interesting to watch in terms of Paul George. One thing is for certain. Basketball player Paul George’s net worth will be skyrocketing in the years to come. Refrigeration tools are mostly used in performing particular preventive maintenance and repairs on air conditioners, freezers, automotive equipment and refrigerators. It is of absolute necessity that your home appliance remain in good condition. That is why you need Quality refrigeration service tools to install, fix and maintain your appliances, especially those related to heating, ventilation and air conditioning. As a professional, not only should you get good tool, you also need to get equipment from reliable and credible manufacturers. When you get it directly from them you save money, stress and possible fake or not durable products. One of those reliable companies is HVACDirect. HVACDirect is a business aimed at providing its clients and customers the necessary quality HVAC engineer. The prices of our tools, accessories, and wide range of refrigeration products are qualitative and competitive, and there is quick and easy delivery process. We get our tools and products directly from credible manufacturers, which means when you come to us, you will have a direct link with main product manufacturers and so won’t go through the stress of passing through middle men who might extort you more. You are not the one to pay us. When we link you up, we get paid by the suppliers and not you. This is a reason more to partner with us. We have quality first hand quality refrigeration service tools that you as professionals use. Some of these tools are; Leybold vacuum pumps, hoses, fitness and ball valves, charging scales, bender and flare tools, tube cutters and tube straighteners, laboratory pump and equipment, leak detectors and co check. We also have nitrogen pressure testing, refrigerant identifiers, refrigerant manifolds and gauges, digital scales, refrigerant recovery units and refrigeration parts. In our shops you can also get vacuum pumps, test instruments, welding and branding equipment, automotive equipment, heating, ventilation, and air conditioning tools, commercial recovery and more packaged deals. Certainly, there are a lot of products from China who as their reputations are, not durable, weak and not trust worthy in terms of effectiveness. But that is not the place where HVACDirect get their products. Our products come from Australia and Europe and we distribute to several ends of the world. Some equipment issues can increase operating cost, meanwhile comfort and usability are not reduced. By just cleaning your equipment regularly, you can save more than $50 per month in utility bills. When you do not repair small problems, they can lead to more expensive repairs. When you check your tools and refrigeration periodically, dangerous problems could be avoided. A dirty condenser and evaporator can increase the electrical usage of refrigeration equipment by 50%. When you undercharge a refrigerant to only 10%, it can increase up to 20% the operating cost. Normally, a refrigerant should never be replaced (it should be taken care of). If you must replace every year, then expect an expensive leak to be repaired as well. Proper maintenance of equipment can ensure the longer lifespan of equipment, increase capacities of system, increase comfort and lower operating costs. If you’ve recently made an offer on the purchase of a property, you’ll know that the next step in the process is hiring a solicitor or conveyancer in order to legally transfer ownership from the seller into your name. This process is called conveyancing, and that’s why you can choose the services of a conveyancer. You can also choose to hire a solicitor, another legal profession that specialises in property transfer. But which one should you choose? In order to answer this question, first you’ll need to know what each of these does, and then decide on whether a solicitor or conveyancer is better for your needs. 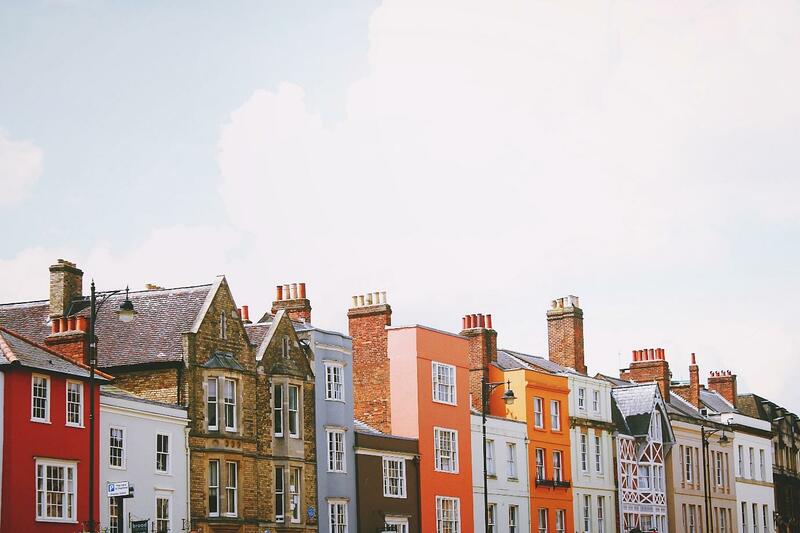 Both solicitors and conveyancers are licensed and regulated by the government, and they will also act almost identically when handling your property transaction. However, there are a few differences. Conveyancers are property lawyers who focus especially on residential property transfers, whereas a solicitor is a qualified lawyer and is trained in many other aspects of the law. Sometimes, a solicitor may charge more than a conveyancer to complete a property transfer. This would still depend on the complexity of the process of the property you wanted to transfer. There is a lot of bureaucracy involved in conveyancing, but all the legal paperwork is necessary to ensure that the transfer of the property goes through. The last thing you want as a buyer is for unnecessary delays because your solicitor or conveyancer has not handled the process promptly. So, you really need to find someone with a good track record to handle your conveyancing efficiently, such as River City Conveyancing based in Brisbane, who has an excellent reputation. Make sure that your solicitor or conveyancer is ready to answer your questions whenever you need them. Conveyancers are often office-based, as opposed to solicitors who may have other legal duties. Before hiring either a conveyancer or solicitor, ensure that the quote you are provided is final and doesn’t include hidden costs that will sting you later. Two things to avoid are quotes that do not fully itemise all charges, and also any conveyance service that charges an hourly rate. 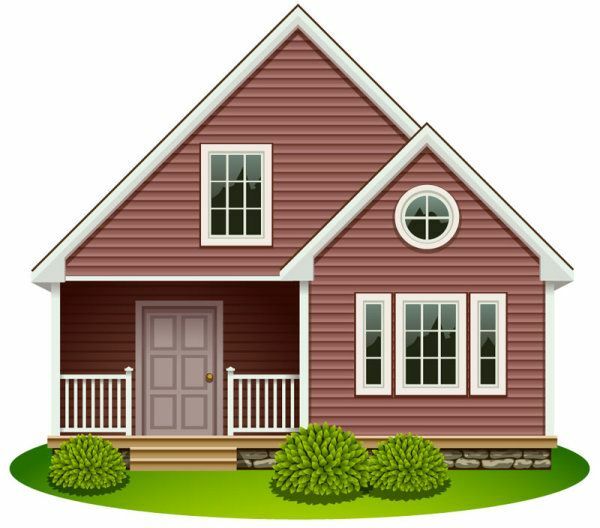 The bottom line is that in most cases of transferring property ownership, the conveyancer will be able to handle your complete transaction. 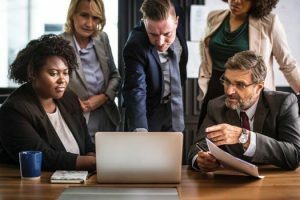 There may be reasons you need to take on a solicitor, especially if there are legal complications involved in the conveyancing, such as boundary disputes. In these cases, the legal knowledge will be superior to what a conveyancer is trained for, and you will need to ask the services of a lawyer. You might be tempted to just go ahead and simply hire conveyancers. However, for a more expensive property, hire solicitors for they can tackle problems involving higher value homes. The term GOAT (Greatest of All Time) is being thrown around a lot lately. Many people associate it with the greatest athletes, Tom Brady, Michael Jordan, and Tiger Woods to name a few. When it comes to the GOAT of catchers in the MLB, some might throw the name Yadier Molina around. 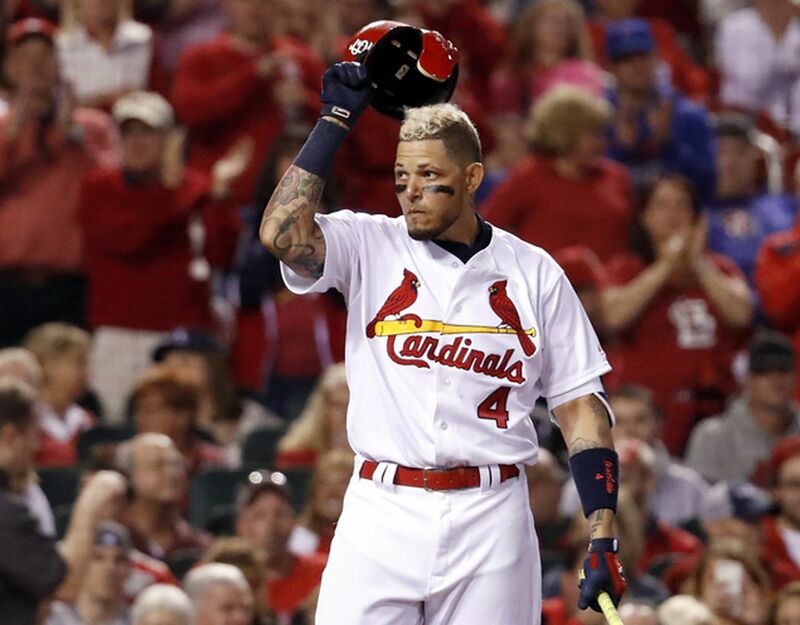 A fifteen year MLB veteran, Yadier Molina’s net worth tops out at $45 million. A native of Puerto Rico, Molina has spent his entire professional baseball career with the St. Louis Cardinals organization. Although he was drafted in the fourth round in 2000, he didn’t make his major league debut until 2004. During his rookie season in 2004, Yadi appeared in 51 games for St. Louis. It wasn’t until 2005 that he became the lead guy at catcher for the Cardinals. He is known as being a very solid hitter at his position. His career batting average currently sits at .283 and he has belted over 130 home runs thus far. Many regard Molina as being one of the best catchers of all time. It is his fielding ability behind the plate that has people calling him the GOAT. He is an eight-time Gold Glove winner. His most recent Gold Glove came during the 2015 MLB season. While his hitting and catching ability are both impressive, the thing Yadi has to be most proud of are his World Series rings. He has helped lead the Cardinals to two World Series titles in his career. Molina played a critical role in helping the Cardinals win titles in both 2006 and 2011. When it comes to getting paid, Yadier Molina is not shy about it. He knows very well he is deserving of a top salary. For the 2018 season, Yadi is the third highest paid catcher in the entire MLB and has the highest salary of any Cardinals player. Just before the start of the 2017 MLB season, the Cardinals and Yadi agreed to a 3 year $60 million extension. He is scheduled to make approximately $20 million in salary for the 2018, 2019, and 2020 seasons. This extension has helped to greatly increase Yadier Molina’s net worth. Molina is set to turn 36 years old this season. With two more years remaining on his contract, he will be one of the oldest if not the oldest starting catcher in the MLB during the 2020 season. Many have begun to wonder what the Cardinals plan to do after their catcher reaches retirement. Currently, Yadi’s backup is a 28 year old named Francisco Pena who the Cardinals acquired during the offseason. Even though Yadier Molina stays close to St. Louis during the baseball season, he still maintains a residence in Puerto Rico where he is from. He has two older brothers, Benji and Jose Molina, both of whom had successful MLB careers of their own. Borrowing a loan that matches your specific needs keeps your costs low and improves your chances of being approved. You need to match your loan application with a lender to increase your chances of being approved. This means that you have to shop around, but the type of loan that you want will limit your choices. For instance, some lenders do not provide student or business loans. You should start your search by looking into the institutions that offer the cheapest loans: credit unions and banks. Check with different institutions to compare the costs and rates of interest. You should also visit websites that list several lenders to make your work easier. As long as you choose reputable websites, borrowing online is very safe. If you decide to borrow from friends, you should know that this might cause a rift in your relationships. If you have been turned down several times, it would be easy to take what you get. However, this will not be worth it because you will find yourself in a cycle of debt. To get a loan, you need to have credit. This means that you have to demonstrate a history of borrowing loans and paying them back. If you do not have credit, you have to borrow less and pay more until you develop a strong credit history. Once you have a strong credit history, lenders will be more willing to lend you more money at affordable rates. You should get free copies of your credit report to see what the lenders will see when you borrow a loan. If you have a good credit history, you can go ahead and fill out your loan application forms. On the other hand, if your credit history is nonexistent, you should work on building your credit by adding loans to your history in a gradual manner. If you spot any mistakes in your report, you should work on fixing them before you approach any lender. Make sure that you understand how the loan works before you apply for it. Will you be able to repay it? You need to understand what you are getting yourself into: what are the rates of interest? Do have to pay it back a certain way? Ensure that you do your own calculations before you get a loan. You can use several online tools to calculate how much it will cost to take out a loan. Once you do all the right calculations, it will be easier to take out a loan that you can afford. Figure out the percentage of your income that will go towards repaying your loan: known as the debt to income ratio. If you do not like the calculations that you see, you can always borrow less money. Most lenders prefer applicants with a ratio of 30 percent or less. 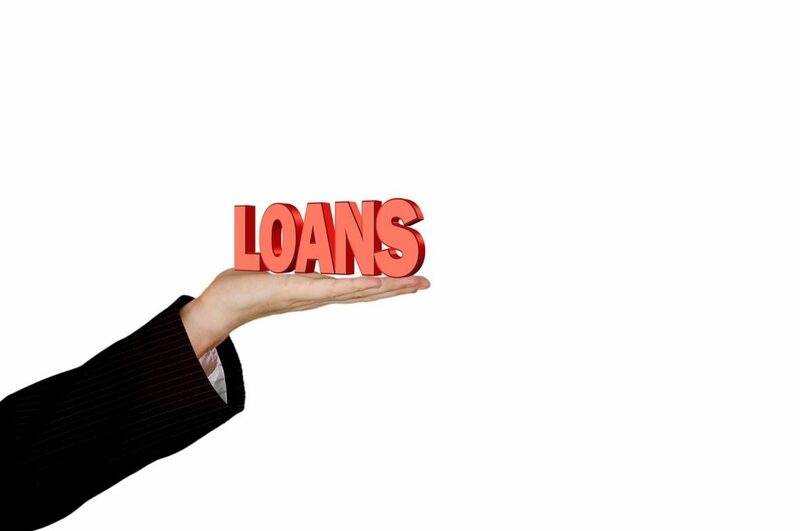 Borrowing a loan for the first time can be tricky but the above tips will come in handy. You should ask your friends for help if you need it. All signs point to market volatility increasing rather than ebbing — at least until after the fall 2018 U.S. elections. Since algorithmic trading is one of the reasons why markets have increased in volatility — can you better weather this storm by accessing the same technology the only way individual investors can, through robo-advisors? Should Millennials Rent or Buy a Home? Self-made millionaire and co-founder of AE Wealth Management David Bach tells millennials that if they aren’t prioritizing homeownership, they’re making a costly mistake – and, the single biggest mistake this generation tends to be making. Buying a home, he says, even with the tax law changes, is the quickest path to wealth in America. But it’s not all that black and white. When you rent a home, your monthly costs are typically fixed, though your fixed, monthly rent may or may not include utilities like gas, electric, Internet or cable. What you won’t have to worry about is unexpected repairs and replacements as your landlord will be responsible for paying and fixing any problems like that, from a burst pipe to a leaky roof. If you find yourself in a situation where you have to move, perhaps for a job, it’s far easier to get out of a lease than to sell a home. If you aren’t sure how long you’ll be able to live in the area, or if you don’t know if you’ll be able to afford maintenance and/or repairs, renting may be the way to go. As Bach maintains, buying a home can be an excellent investment. If the home prices in your area have been rising, purchasing now means that you may be able to stay in a neighborhood you love but could be priced out of in a few years. Even if you don’t end up staying long term, when property values rise sharply, it can mean rather significant profits. One of the keys to success is to choose the right lender that can help you understand what you can afford and how purchasing rather than renting can better improve your financial situation in the coming years. Millennials who purchase a starter home may be able to take advantage of the opportunity to convert it into a rental property. That can be an excellent source of additional income when buying a home for the long haul in the future. Hard money loans may be ideal for this situation. While they aren’t right for every investor or investment, they can be an outstanding starting point that allow you to buy property with very little money of your own. 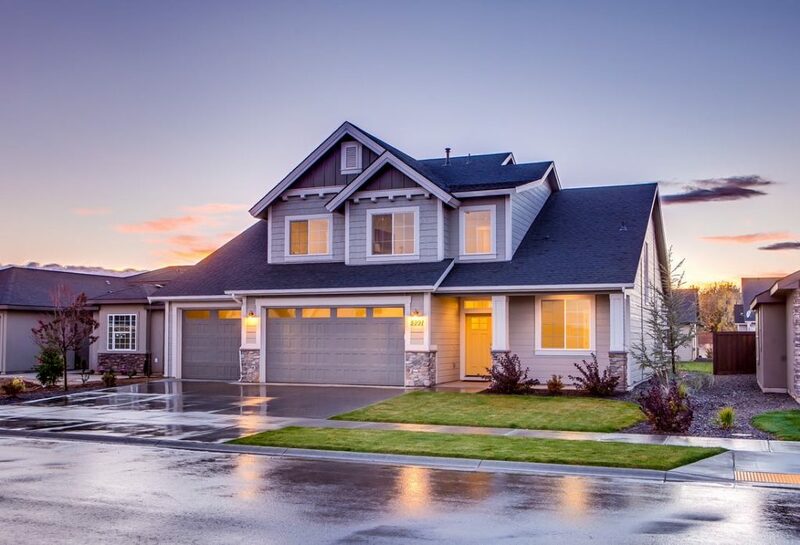 Then, once you’re at least somewhat established as an investor, it will be easier to secure a line of credit from a bank with a much lower interest rate rather than taking out a hard money loan. If you are starting your own business, you will know how difficult it can be to handle all costs. Cutting parts of your expenses here and there can greatly improve your monthly profit. So, be smart with your money. 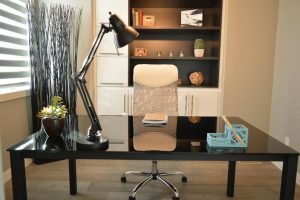 If your business doesn’t need an office, then don’t have one. You can work from home and stay in business, as today connections are performed mostly by the internet. You can arrange a space inside the house, but even a shed in a backyard can be wired up for work with little effort and creativity. Not only you will be relaxed, but you will reduce many of your costs like paying rental, heating, technology and supplies. Another financial benefit is that you cut your commute costs. There is no train tickets or gasoline bills. Wireless communications have pretty much paved the way to allow more and more people to work from home and cut down on commuting costs. Minimize time waste – Time is money! The best way to save time is to track it for a while. A couple of weeks should be enough to give you a complete insight into points in a business where you have most of the time leakage. Going to a post office to send mail or packages can be time-consuming if you have to do it often. Buying or renting a franking machine will not only save your time but also prevent you from guessing or overpaying the price of the mail or packages you need to send to customers. You can prepare a letter or package whenever you need it from your office, without a need for a Post Office to be open. There is a large variety of types of franking machines, and you can check franking machine prices here. Meetings can also be very time-consuming. Compare time spent on meetings with efficacy and benefits that those meetings have brought to your business. Reducing time spent on meetings which don’t add value to your business can save you money and provide you the time which can be spent on other activities which are profitable. Hire in-office employees only if necessary, because having permanent employees means you must provide work continually so that their productivity is more than what is being spent on them. If you don’t have as much work, you can hire part-time employees, but hiring freelancers and having home-based employees is a good solution for startups. Additionally, if you hire freelancers, you cut costs of management, training, and benefit packages of permanent employees. If you still need permanent employees, you can hire capable employees with little work experience who are willing to learn and work well for a lower salary than experts with great work experience. Bartering, or exchanging products and services is one of the excellent ways of saving costs. It has evolved into a sound strategy for finding goods, conserving cash, trading services, locating excess production capacity and moving inventory. It helps to expand your professional network while getting the things you need for your startup at the same time. Again, it may take a bit more time and effort to find a company you will barter with, but on long terms, it will save you money. 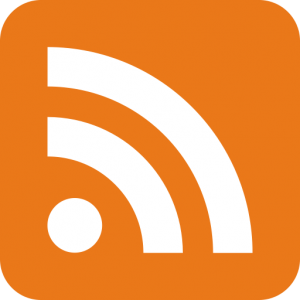 Today, in the era of the internet it is easy to find different free software to run your business. There is no need to pay for bookkeeping, word processing and presentations because you can find an open source or cloud version for most things you need to do. There are various available programs which can help you manage your finances, track your customers, plan your projects, and much more. Also, do not hesitate to use free trials of software to determine if you really need it. These are just a few suggestions for cutting costs of your startup, however, as you run down the road of having your own business, you will discover that there are numerous other ways to improve your monthly profit and keep your company running on long terms!